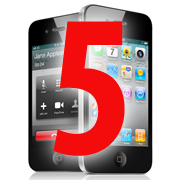 Apple is reportedly prepping for a launch of the iPhone 5 sometime between September 6 and 15. According to China Times (translated via MacRumors ), suppliers are currently preparing 400,000 trial run iPhone 5 units, with an initial shipment slated at 4 million units. As the iPhone 5 features guessing game picks up steam, Apple has not formally announced anything. Rumors began to swirl this past June at Apple's Worldwide Developers Conference when Apple's lack of iPhone 5 news suggested to some it was prepping for an iPhone announcement later in the year, likely in September. For the past three years Apple has held a media event in September, where it has introduced products in the iPod line, but this year the company is expected to launch the long-awaited iPhone 5 and a final version of iOS 5 at the same time too. iOS 5 is currently advertised on Apple's website as "coming this fall". The Chinese publication also reports that the iPad 3, a widely rumored upgrade to the iPad 2 with a high-resolution display, is actually delayed until Thanksgiving due to component shortages. A recent report from Taiwan's Economic Daily claims the next-gen iPad display resolution will be five to six times higher than that of the iPad 2. However, some are skeptic that Apple will make the iPad 2, still a best seller, obsolete after nine months of availability. The iPhone however, is due for a refresh, as the iPhone 4 was launched more than one year ago. Conflicting rumors over the past few months are split between an incremental upgrade to the iPhone 4, with an A5 dual-core chip (as found on the iPad 2), and a camera boost, or a rather more radical refreshed iPhone 5, as suggested by alleged cases for the upcoming device.